The latest report also includes multiple instances of arrests related to possession of drug paraphernalia. At 9:17 a.m. on Feb. 23, Mt. Laurel Police responded to a vacant business at 3121 Route 38 for a trespassing complaint. The investigation resulted in the arrest of Sidney E. Griffin, age 57, of Bordentown, and Deborah A Walth, age 35, of Glassboro. Police say the two appeared to be living in the vacant building. According to police, the two suspected were charged with trespassing and released pending a court hearing. At 5:05 p.m. on Feb. 22, Mt. Laurel Police conducted a motor vehicle stop of a motorcycle on the 500 block of Willow Turn. During the stop, an officer learned the motorcycle had been reported stolen out of Philadelphia. Tyquan K. Thurston, age 22, of Mt. Laurel was arrested and charged with receiving stolen property, possession of less than 50 grams of marijuana and several motor vehicle violations. He was released pending a court hearing. At 3:49 p.m. on Feb. 22, Mt. Laurel Police located a suspicious vehicle at a hotel on Deimer Drive. During the investigation officers arrested Joseph M. Fiume, age 55, of Maple Shade, for an outstanding warrant. He was also found in possession of a drug-smoking pipe. He was charged with possession of drug paraphernalia and turned over to another law enforcement agency for the warrant. At 2:23 p.m. on Feb. 22, Mt. Laurel Police conducted a motor vehicle stop on Route 73 near the NJ Turnpike. During the stop, officers arrested Brandon A. Beslow, age 21, of Mt. Holly, after he was found to possess a marijuana grinder. He was charged with possession of drug paraphernalia and released pending a court hearing. At 7:36 a.m. on Feb. 22, an officer on patrol observed Nicholas E. Greismer, age 45, of Palmyra, walking near a hotel on Diemer Drive. The officer knew Greismer had an active warrant for his arrest and placed him under arrest. Greismer was found in possession of a switchblade knife, heroin, and a drug-smoking pipe. 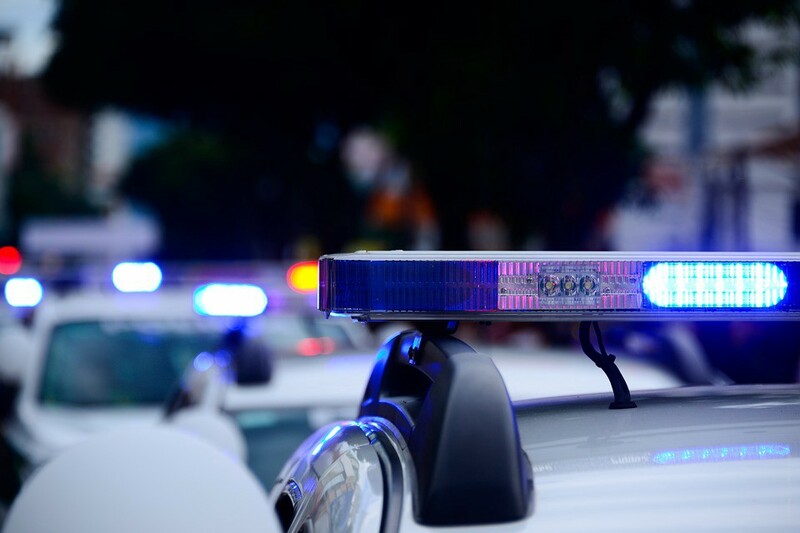 He was charged with possession of heroin, possession of a prohibited weapon, and possession of drug paraphernalia. He was committed to the Burlington County Jail. During the overnight hours of Feb. 21 into Feb. 22, someone spray-painted a shed and broke light fixtures at Laurel Acres Park. A resident of the 200 block of Burnamwood Drive reported that at 2:25 a.m. on Feb. 22, he observed two subjects in his vehicle parked at his residence. He yelled at them from his open window and they fled on foot. The suspects stole a Cobra Radar Detector and credit cards from the unlocked vehicle. An employee of Wine Legend, 720 S. Church St., reported that a suspect stole a bottle of vodka and fled the area in a gray Saturn sedan at 7:15 p.m. on Feb. 21. A victim reported their 2014 Acura was intentionally scratched while it was parked overnight on the 500 block of Wharton Road on Feb. 21. A resident of the 100 block of Glenbrook Drive reported a 1998 Honda 250cc ATV was stolen from the side yard of their residence between Feb. 16 and Feb. 20. At 4:22 p.m. on Feb. 20, Mt. Laurel Police conducted a motor vehicle stop on Crawford Place near Diemer Drive. During the stop officers arrested Aubrey A. Friant, age 22, of Cherry Hill. She provided a false name to officers in an attempt to avoid arrest for an outstanding probation violation warrant. She was charged with hindering her own apprehension and committed to the Burlington County Jail. At 2:56 a.m. on Feb. 19, Mt. Laurel Police conducted a motor vehicle stop on Fellowship Road near Eat Gate Drive. During the stop, officers arrested Nathan A. Wormald, age 26, of Mt. Laurel. He was charged with driving while intoxicated and released pending a court hearing. At 2:04 a.m. on Feb. 18, Mt. Laurel Police conducted a motor vehicle stop on Route 38 near Marter Avenue. During the stop officers arrested Robert W. Fitzmaurice, age 31, of Mt. Ephraim. He was charged with driving while intoxicated and released pending a court hearing. A victim reported their unlocked vehicle was entered while it was parked at the Fellowship Baptist Church, 1520 Church Road, at approximately 7:15 p.m., on Feb. 17. Cash and a credit card were taken. The card was later used at a gas station in Palmyra.